Vijay's Mersal has performed well at the worldwide box office in its 5-day first weekend. 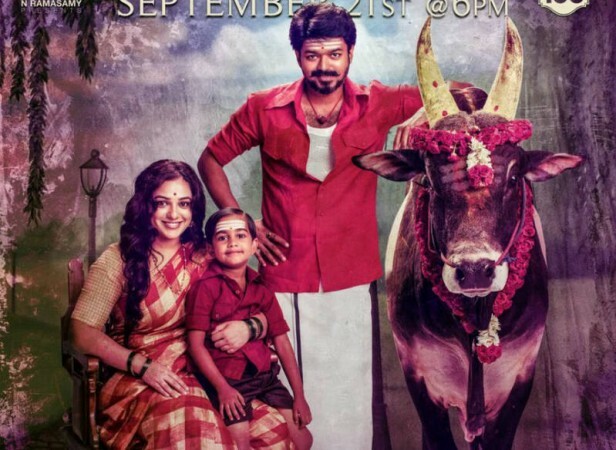 Ilayathalapathy Vijay's Mersal has become his sixth movie to gross over Rs 100 crore at the worldwide box office and he is the only South Indian star after Rajinikanth whose movies have consistently hit a century at the global collection centres. The Tamil movie has reached its feat on its fourth day (Saturday) and is now racing towards the Rs 150 crore mark at the worldwide box office. The 5-day worldwide gross is above Rs 140 crore. So far, Vijay's films like Thuppakki, Kaththi, Theri and two others flicks have breached the Rs 100 crore mark. Mersal was released in over 3,200 screens worldwide on October 18 on the occasion of Diwali. On the opening day, the movie minted Rs 47.1 crore at the worldwide box office. The movie also became the biggest opener in Tamil Nadu by minting Rs 24.8 crore, while ending up as the second biggest Tamil opener at the worldwide box office after Rajinikanth's Kabali, which raked in Rs 87.5 crore. Mersal has made fantastic business in the overseas centres as well. The Vijay-starrer has enjoyed good occupancy rates in the US, Malaysia, Australia and the UK. On the other hand, the movie has made a record-breaking collection in Chennai by raking in Rs 6.84 crore. Mersal had opened to fairly positive reviews. The movie did not face any competition from any other big star movies, making it the audience's first choice in theatres this Diwali. Also, the controversy surrounding the dialogues over the Goods and Services Tax along with Digital India helped the film to pull the audiences to theatres. More importantly, the rise in ticket prices in Tamil Nadu boosted the gross collection, as per the trade experts. Atlee Kumar's Mersal, which is bankrolled by Sri Thenandal Films, has Samantha, Kajal Aggarwal and Nithya Menen in the female leads.